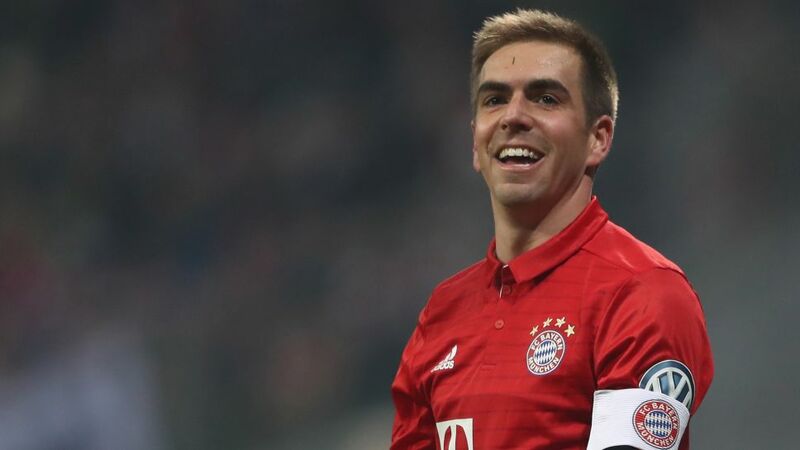 Bayern Munich captain Lahm is keen on another cup before the curtain comes down on his career. In June, one of the most decorated footballing careers in history will come to an end when Philipp Lahm hangs up his boots. The 33-year-old left the international stage on a high, retiring days after leading Germany to World Cup glory in 2014, and how perfect it would be for him to bring a definite end to his playing career with yet another trophy – the DFB Cup. On Wednesday night, Bayern Munich can keep that dream alive for the full-back when they host Borussia Dortmund in the semi-final and Lahm knows full well that if he wants to get his hand on what could prove to be the 23rd piece of silverware of his career – should this year's Bundesliga title become his 22nd - then only a win will do. "Of course such a final to end my career with would be pretty nice," Lahm said at a press conference. "I've played so many finals in Berlin and it's always an amazing atmosphere there, and that is what makes the cup so attractive. It would be a beautiful ending." Should Bayern succeed in beating Borussia, Lahm's career will have effectively gone full circle. It was after a 2-1 defeat to Schalke in the first round of the 2002/03 DFB Cup, playing alongside the likes of Bastian Schweinsteiger and current Leipzig coach Ralph Hasenhüttl in a Bayern reserve team coached by the current assistant to Carlo Ancelotti, Hermann Gerland, that Lahm started to train more frequently with Bayern's first team prior to making his debut later that year in the Champions League against Lens. Click here for more Bayern Munich club news!